Hosted by Dr. M. Sanjayan, a brilliant conservation scientist, National Geographic Television (in association with Passion Planet) has produced its most important cinematic legacy. EARTH: A New Wild is to be savored and watched countless times. This epoch series brings new meaning to why we are alive and how precious our relationship is to nature. To embrace life on this planet you have to understand the symbiotic connectivity we share. All human beings derive sustenance, pleasure, curiosity, and well being from its very essence. Get ready for one of the greatest cinematic experiences. PBS presents EARTH: A New Wild WATCH! What we are missing is man's connection to nature. This spectacular series offers hope and optimism. No other nature series has captured conclusive scientific proof that co-existence between man, animal and earth is thriving. 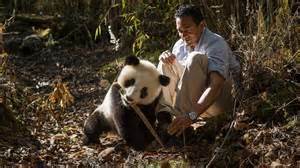 Dr. Sanjayan is more than a leading conservation scientist he is the conduit connecting us to more than probabilities about the regenerative abilities of resources once considered threatened by mankind. Instead, we learn the most fascinating conclusions to the delicate balance of man and nature. One is riveted by the brilliant photography of each of the five episodes and the fascinating people he discovers. Behind the Scenes- the making of EARTH: A New Wild Director Nicholas Brown and Dr. Sanjayan and crew traveled to over 30 different countries and explored over 45 shoots to capture the explicit beauty and at times the solitary momentum of the wildest animals on the planet. 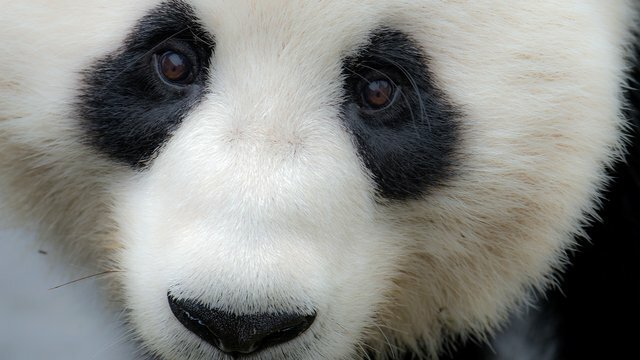 See up-close a wide range of species from the giant pandas to humpback whales and African lions to Artic reindeer, where historic western customs of castration are still being practiced. One of the episodes in the series explores the forests throughout the world and how in each location man's imprint is aiding and guiding nature by protecting her reserves and learning extremely beneficial and practical information from its caretakers. Sanjayan travels into the Amazon's "Intangible Zone" with a team of scientists who believe it could be the most bio-diverse place on earth. Despite being virtually "off the map" there are still people here: the Waorani, who are fierce defenders of the forest against outsiders. They help the scientists reveal the forest's deepest scientific secrets. My friend, John Easterling is a leading environmentalist who has spent over three decades in the Amazon Rainforest. He shares his insights as a visionary leader in eco-commerce having successfully developed a sustainable solution for its inhabitants. Having brought the life enhancing and healing properties of Rainforest plants to the world, he understands the unique symbiotic relationship between man and his habitat. From the Curanderos in the Highlands of the Peruvian Rainforest, John shares a wealth of knowledge that compliments why EARTH: A New Wild is so important. He agrees that the physical experience and photographic imprints Dr. Sanjayan shares in this series will resonate with a worldwide audience for years to come. "From a wellness perspective almost a fourth of all pharmaceuticals are based on footprints of nature that come from the Amazon Rainforest." John Easterling. - which examines the relationship between humans and large animals. Special sequences include the internationally recognized behavioral scientist Jane Goodall in Tanzania. - From the African plains to the American Midwest, this episode explores wild grasslands -- home to the greatest gathering places of animal life on the planet, yet among the most endangered places on Earth. 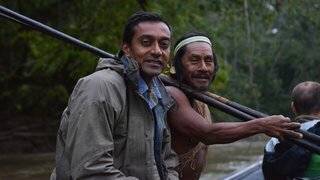 Sanjayan travels deep into the western most Amazon to a place scientists believe may be the most bio-diverse on earth, still holding the secrets of un-contacted tribes. From here, he reveals a new understanding about humans' relationship with the forests of the world. introduces Jeremy Jackson, whose seminal paper "The Rise of Slime" dramatically changed the way scientists look at our relationship with the Earth's oceans. Sanjayan explores humankind's relationship with the Earth's most important resource, unraveling dramatic connections between the pulse of fresh water and the health of the planet. "This series is a first for nature films; it turns the camera around and acknowledges that spectacular nature doesn't exist in isolation, that humans are part of the picture. In this way, we show viewers not only stunning, never before seen natural history but also discover extraordinary stories that challenge the very notion that humans are separate from nature, and how, in the new wild - humans and wildlife can - and must--- thrive together"
Special thanks to John Easterling for his contributions.